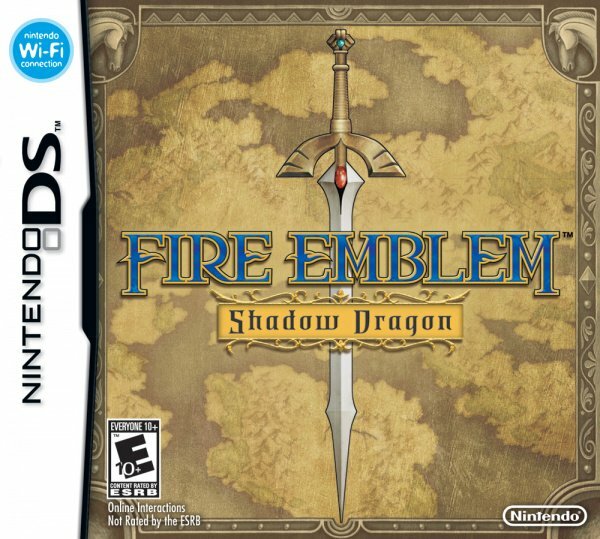 Fire Emblem: Shadow Dragon is a Nintendo DS remake of the first Fire Emblem game (originally released in 1990 for Famicom in Japan) that's now available to download in Virtual Console form for Wii U. The series staple of strategic turn-based gameplay along with the perma-death possibility for characters would form the backbone of this long-running and critically acclaimed series. Being a remake, Shadow Dragon is blessed with re-drawn graphics (including character art from Masamune Shirow of Ghost in the Shell and Appleseed fame), a remastered soundtrack and some additional gameplay elements taken from later titles. 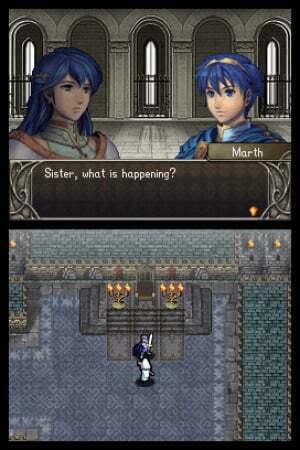 Fire Emblem: Shadow Dragon tells the story of young prince Marth and his quest to retake his father's kingdom after if it is seized by a neighbouring country. Forced to flee, he leaves his older sister behind and vows to return one day to claim back the throne. What follows is a tale of betrayals, alliances and loyalty all played out in a fantasy setting of castles, knights and magic. This story is played out across twenty five chapters (including an optional prologue) each of which takes the format of completing objectives on a grid-based battleground, ultimately leading up to defeating the enemy and claiming a finishing square to complete the chapter. Story progression takes place between each chapter and helps to flesh out the characters you meet and any recruits into your army along the way. If this all sounds like it's building up to be an overly complicated and long-winded experience, fear not; being a Nintendo game the slick interface is superbly designed and easily accessible for all wannabe commanders. Each character (or 'unit') in your possession falls into a specific class; these include archers, paladins, knights and clerics. The designated class dictates the weapons they employ, magic ability, movement, strengths, weaknesses and all manner of statistics. You're also able to 'reclass' units into different classes (should you choose to) in order to tweak your army into a perfect fit for your play style. In typical RPG format, units will level up during battle and gain new abilities. Your task is to decide which units to take into battle (for each chapter) and command them to victory. The battle is lost instantly if Marth dies (Marth is always present on the battlefield) so it makes sense to ensure he's kept to a decent level; how you progress your other units is up to you. During your turn you are able perform a series of actions with every member of your active party; these actions include movement across the current battlefield, attacking or even simply doing nothing. During movement each unit has a specific number of squares they can travel - for example, heavier knights have limited distance but can handle a beating, while flying pegasus units span the map quicker but are more prone to death from an arrow. Strategic placement and movement of all your units is the key to victory. In terms of battling, Fire Emblem employs a rock-paper-scissors approach with its 'weapons triangle'. This triangle works as follows: axe is stronger against a lance, lance is greater than a sword and sword trumps axe. In basic terms, if your unit has a stronger weapon type and is of a higher level than the opponent, there's more chance of coming out on top. Battling is automatically played out once initiated, so even though it sounds complicated it is, in practice, rather simple. And therein lie the beauty of Fire Emblem; the challenge comes not from battling with the complexities of the gameplay but from being able to strategically decide the best course of action. The classic phrase 'easy to learn, hard to master' has never been more appropriate. If you've played the Nintendo 3DS's most recent iteration Fire Emblem: Awakening for any length of time, you may be disappointed to find some features not present. Notably the marriage system, no branching map (so no extra side-chapters) and the lack of a beginner friendly casual mode to ease the perma-death woes. Perma-death means any character dying on the battlefield remains dead. For the rest of the game. So be wary of charging into battle with your favourite characters if you're unsure of the outcome (or use the restore point system of Wii U Virtual Console games to 'cheat' if you're that way inclined). Being a Nintendo DS game on Wii U does present a few issues - the most major being how to display the twin screens of a DS. Thankfully Nintendo has provided plenty of options, but in all honesty the best way to play is using the GamePad on its own to display both screens and then holding it vertically - ie completely mimicking a DS. The reason is clear when you come to try out the other options; it's a total pain looking from one screen to another, especially if one of those screens is a huge TV. You need to be able to view the screens together in order to have the best experience, due to the way the game plays out. It's also worthy of note that none of the online features are active any more; the service was closed down sometime ago. Additionally we have no idea if local wifi battles will work having not had two Wii U's in the same room together, we would suggest not (although do let us know if you are aware of anything to the contrary in the comments section). 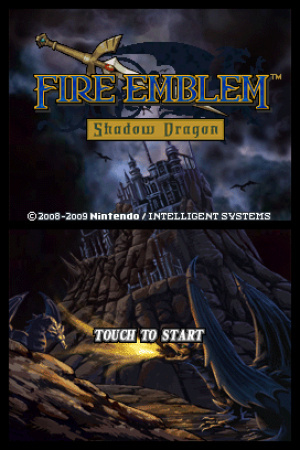 In some ways playing Fire: Emblem Shadow Dragon today feels a little bit like going back-to-basics, however the compelling gameplay, lovely retro artwork, memorable music and beautiful presentation ensures this is still a joy to play and it's definitely a world well worth re-visiting. If you've never taken a leap into the series and want to find out what it's all about, this is a relatively cheap way to do so thanks to the Virtual Console. 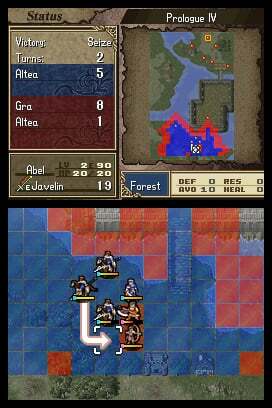 Fire Emblem: Shadow Dragon remains a great game even when put into context alongside its own sequels. Clearly it's less complex than recent offerings, but this is still a fantastic example of an accessible yet deep turn-based strategy RPG. Put aside the Wii U display concerns and Fire Emblem: Shadow Dragon is a perfect introduction to the series and still very much worth sinking a few hours into. I've only played Awakening. How do these two compare? Problem for me is that there's no real way to orient the screens comfortably on the Wii U, Dialogue in the top, gameplay on the bottom. And having the orientation with the gigantic picture of a DS Phat on the telly doesn't make it better either. I have the game on DS, so the only purpose of getting the Wii U version was to get it showing on the big screen, which is unfortunately terrible. Boo! I want the option to toggle the TV's view between JUST topscreen or JUST touchscreen with the click of a shoulder button. Why isn't this a thing? Played this and Sacred Stones to death, shame about no online on this, would have bought it again just for that. I suppose with the WiiU userbase it wouldn't have made much sense, though. Seriously, it's a good remake of the original, really is, eventhough I'm not a fan of having to sacrifice units to access bonus-chapters. "it's a total pain looking from one screen to another, especially if one of those screens is a huge TV." Funny thing is, that sentence basically sums up why the greater market hasn't taken to the Wii U in general. But seriously, what was Nintendo thinking making DS games a priority on Wii U? I've seen NL make this same critique about numerous other DS games on the platform as well. "no branching map (so no extra side-chapters)"
There are extra side-chapters, just the way of obtaining them is very awkward (and the only thing I dislike about this game) namely you have to purposely get units killed. Does the original manual that's accessible from the VC menu work for anyone? @gatorboi352 especially considering that the 3DS can play DS games, I too find it baffling that they've made it a priority. Everyones still screaming out for GCN on WiiU. Other then that, I'd highly recommend this remake. Mystery of the Emblem's Book 1 segment also served as a remake, but a lot of the content was cut including 6 characters (Wyrs, Darros, Roger, Jake, Beck and Gatoh) who were later added to the DS remake. Plus the music and the deep dialogue makes Shadow Dragon a fulfilling experience. Just be prepared to sacrifice A LOT of units for those gaiden chapters. Bleh, I love the dating SIM elements. It meshes well with the gameplay and provides not only a nice distraction but yet another factor to micromanage. Well, you ask why, but the real question should be why not? It is the virtual console after all. And DS has some great games, so... Why shouldn't they be on offer? Especially with the gamepad allowing for at least 4 different ways to view while playing... it's a perfect fit. Doesn't seem like a "priority" any more than the other platforms on offer. I think there's less DS games for sale than any other platform, save maybe the N64. It's a simpler game, from a simpler time. Of course the remake does make it easier to get into, but don't expect Awakening. Shame we never got New Mystery of the Emblem. It introduced the Avatar system, which has evolved considerably with the past two installments. Heavily underrated. If you actually want to play an FE game without resetting for deaths (like I do), then this game is the way to go. Though I'm sad that you really can't play this on the TV, something needs to be done about that DS emulator. A 7/10 to me, but still a good game. It's a good game, but growth rates were incredibly messed up for this game. I still enjoyed this game, but I think it is one of my least favourites, I also wasn't much of a fan of the art style. I just wanted two equal screens on the gamepad (or TV) without turning the gamepad vertically. @gaby_gabito Awakening is more advanced in general. Wait, so when does this go up on the US eshop? Not having a dating system or a casual mode is a huge plus for this game. Skip, Shadow Dragon is by far the worst Fire Emblem to come to the west. It's an OK story, with a very archaic gameplay compared to recent entries. @OlicityBlows Huge plus? You mean COLOSSAL plus. @Soren I'm glad Tellius' greatest tactician agrees with me. Didn't this game have DLC attach to it? I've played all the FE games that have come to the West (haven't played the Japan exclusive ones though), and I'm going to ignore the 'waifu simulator' comments (because I have to admit, I actually do like that as a side thing), but although all FE games are great in their own right, Shadow Dragon's always been my least favourite in the series. The predictably boring story, lack of character development (the characters just weren't as interesting as ones in other entries in the series), killing your own units (I HATED that) to unlock bonus chapters, and messed up growth rates make this my least favourite FE game. I picked up a used DS cartridge of this about two years ago. I played enough to see if it still worked functionally and saved fine, and haven't really picked it up since. It's still in my backlog, and this review has encouraged me to give it another try. @OlicityBlows Casual mode is just unnecessary in my eyes, but yeah, the absence of cringy shipping and children is a good thing. I disliked this game so much. I played every fire emblem ever since they started coming out in the US and wow, this one was a bore. And the re-class system was downright awful. 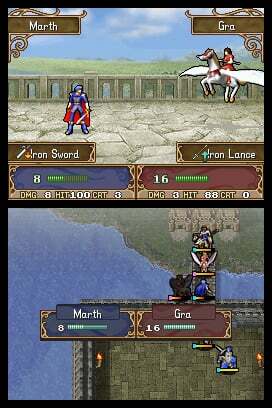 I think the main issue with this FE is that it´s too bland, I mean, look at the graphics, they are nowhere as good as the ones on the GBA, which were so full of color and the animations were pretty fluid. The music is OK, but nothing spectacular to be honest and the gameplay is downright boring. I played this after the GBA trilogy and was terribly dissappointed with the overall blandness that this game radiated, I don't see the 8 the reviewer awards this game, an 8 is for games like Sacred Stones, which is one of the easiest in the series, but the gameplay is entertaining and the game doesn't force you to kill your own units to access other chapters..
@FierceRagnar I could do with or without a marriage system, but I have to disagree about casual mode. It opened up "Awakening" (along with the demo) to so many more players that it essentially saved the franchise. While I also play standard mode (or whatever it's called), I prefer playing on casual mode. It's also completely optional, so it can just be ignored by veterans of the series who prefer permadeath. Adding new options without taking anything away is never a bad thing. I'd give it a 5/10 personally. I understand it's a remake, but the lack of character development and SUPPORT CONVERSATIONS were a deal breaker for me, especially since those were my favorite aspects of Sacred Stones and all the other FE entries. Plus the class-changing system made every character a bland slate. Fun fact, this game's the reason why I refuse to play as Marth in Smash. I just dislike this game so much. 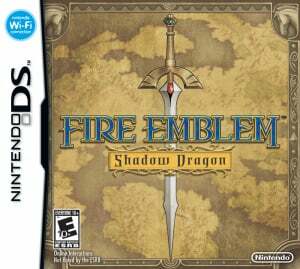 After playing Awakening, I one day suddenly recalled that I had once owned Shadow Dragon and sold it. At the time I couldn't remember a thing about it, and worried that maybe I had sold the game before actually putting any time in. So more recently I purchased the game again and played it for a while. It took me about ten chapters to confirm that I had indeed played it before, but that the entire game was so lackluster that I'd forgotten most everything that had happened. Characters were boring, the art was a step backwards from the GBA entries, the difficulty was laughable (granted, I'm a series vet) and I had absolutely no investment in the story. I would recommend any other game in the series (that has come west) before I'd tell anyone to pick this game up. How strange. I was just replaying the GBA Fire Emblems and thinking about how I never got around to Shadow Dragon. I guess Nintendo was reading my mind! Shadow Dragon is best enjoyed without taking into account the other installments. Simply remembering its status as a Famicom remake will explain some of the cuts from previous installments. This was by far my least favorite game of the series. There's basically no story, the dialogue is pointless and predictable, the graphical presentation is muddy and bland, the class system makes every character basically worthless, and the characters themselves have absolutely no development outside of Marth. Unless you're desperate to learn about Marth's story (which this game barely provides), I would pass on this. @BulbasaurusRex For me, as a oldschool player, it IS a completely unnecessary and useless mode. There's no reason why I would ever choose it. That's all I'm saying. Ive wanted to try this one for a long time now. Hopefully NA will get it before Christmas or so. This game was alright, but disappointing for the series after the GBA games. I would definitely still buy it if it was released on Wii U eshop in NA, since I sold my copy a couple years ago. Not sure if it's been mentioned, but this particular title had a counterintuitive mechanic where you would get replacement units if some of your units died, and the replacement units were actually better than the original units, so it's kind of in your best interest to purposefully sacrifice your characters early on to get the hidden secret characters. It kind of annoyed me at the time when I discovered that on the walkthrough. It's just so counterintuitive for a Fire Emblem game. Picking this up at some point. Assuming we get an NA VC release. With no online features available, does that include the online shop? I know it doesn't work anymore on the DS cartridges, but I just read somewhere that it works again on the Wii U. Could you confirm it? @moomootown I see, thanks. I know that the way it worked before was that depending on the day of the week/month, there were different items on sale so I wonder if it maybe just now goes by the Wii U's calendar. This shows how the online shop would work when Nintendo Wi-if Connection was still up. I liked FE Awakening, BUT, nothing will replace the two on GBA and the DS ones (1 not released in NA, played it in Japanese). This one is among one of my favs. FE has ALWAYS had branching stories but there are prerequisites that must be met, in this case killing off a few specific people. Simplicity is the Hallmark of Genius' this is why both Advance Wars and F.E. will always be my fav. (along with Golden Sun 1&2) I have the Original Nintendo Power Guides for All the games I've mentioned; g-d I miss those guides (for present releases); fandom galore.